For all the appeal of services like Netflix and HBO Now, some people just can't bear to part with live TV when they cut the cord. Here are the major options compared, and how to decide which to get — if any. 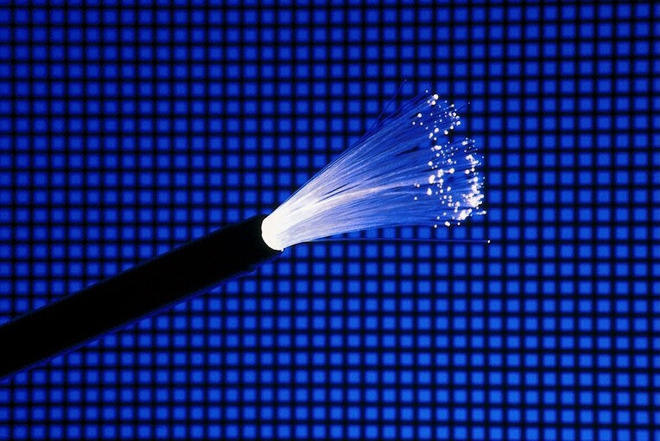 One of the first internet-only live TV services and still often considered the go-to, Dish Network's Sling is divided primarily into "Orange" and "Blue" bundles, each costing $25 per month. The first includes 30 channels, while the second includes 42. The biggest difference is that while Blue includes Fox, NBC, and the pair's sports networks, Orange has ESPN 1, 2, and 3. $40 merges both packages with plenty of overlap. 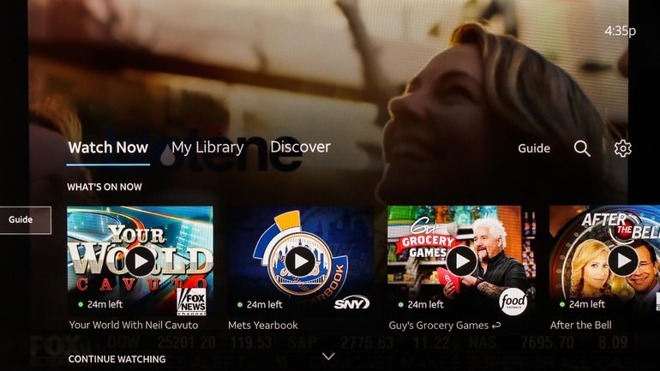 Instead of selling additional tiers, Sling relies on small add-ons. Most, such as Epix, "Sports Extra," and "Best of Spanish TV," are $5 per month. There's a strong emphasis on international content — indeed for some people Sling may be the only way to go, since it has add-ons for countries you may not find anywhere else, like China and India. "Premium" channels like HBO, Showtime, and Starz are also available, but usually at a higher cost. HBO for example is $15, as much as a separate HBO Now subscription, although here you get the live feed on top of on-demand content. Basketball freaks can sign up for NBA "Team Passes" that cover specific teams for $18, or the entire league for $29. Cloud DVR support is another $5 add-on. This includes up to 50 hours of material, so you can't go berserk picking shows and movies. Supported Apple devices include iPhones, iPads, and the Apple TV. 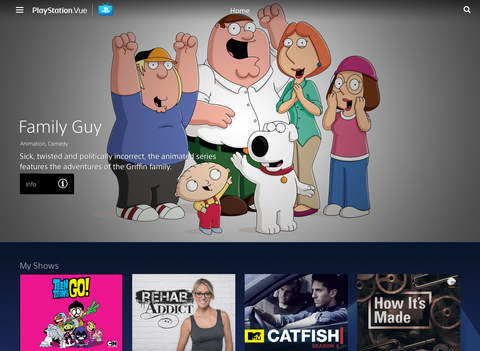 In case there was any confusion, PlayStation Vue has long been available on more than just Sony's PlayStation consoles. As with Sling, it's on iPhones, iPads, and the Apple TV. The platform is divided into four tiers: Access, Core, Elite, and Ultra. Access, priced at $45 per month, includes about 47 channels such as AMC, Cartoon Network, SyFy, and ESPN 1 and 2. Notably this includes sports networks from NBC and Fox. Sony has a pretty hefty amount of sports content included in its default plans, and even some non-sports channels you might have a hard time finding. To sum up though, Core costs $50 for over 60 channels, Elite is $60 for 87, and Ultra is $80 for over 90. Notably, Ultra incorporates HBO and Showtime. There are far fewer add-on options for Vue than Sling, but some include channels that are missing even from the Ultra package, such as Cinemax or some of the more niche sports channels. 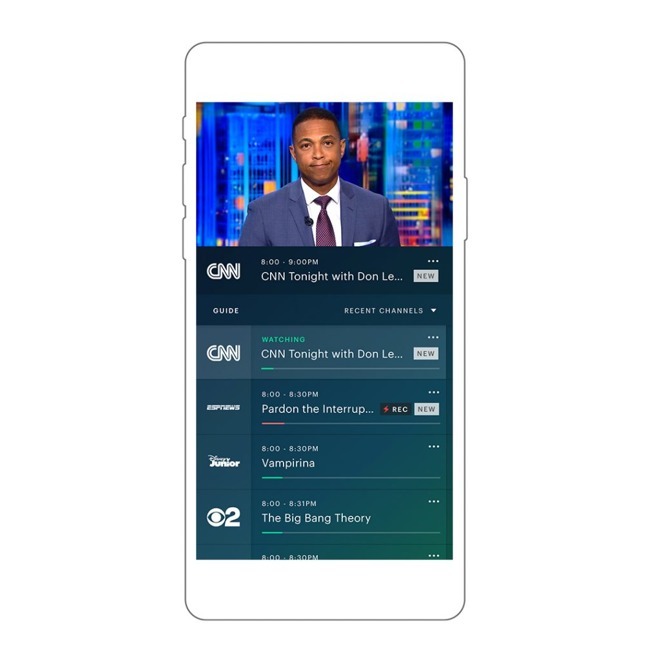 Some perks of the service include up to 10 profiles, the ability to stream on as many as five devices simultaneously, and hold as much DVR content as you want for up to 28 days and 500 programs. This one has just a single $40 plan, but with over 60 channels, some highlights being several ESPN options, and the four major broadcast networks: ABC, CBS, NBC, and Fox, along with a bunch of their affiliated channels. Naturally Google also tosses in YouTube Red Originals. Showtime, Starz, Shudder, Fox Soccer Plus, and Sundance Now are the only add-ons available, so people wanting the likes of HBO will have to turn elsewhere. It also lacks important channels like Comedy Central, so keep that in mind. As features go there isn't much to distinguish YouTube — a subscription includes six accounts, and the ability to stream to three devices simultaneously. The biggest selling point may be its cloud DVR functions, which are practically unlimited since you can keep any and all recordings for as long as nine months. 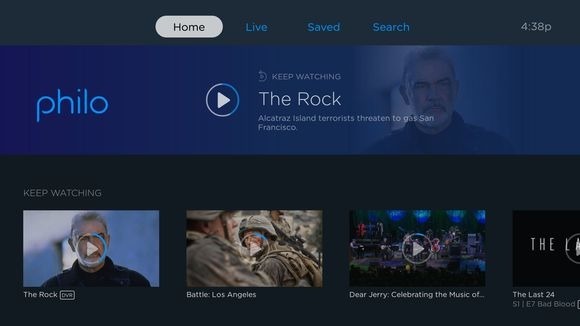 The service was initially heavily mobile-focused, but you can now watch it on the Apple TV as well as iPhones and iPads. Hulu is a relative latecomer to live TV, but it may be hard to beat for the simple reason that $39.99 gets you not just 50-plus channels, but access to the company's regular on-demand library, including shows and a spattering of movies. Depending on your tastes, a Hulu account could eliminate the need for separate services like Netflix. Most of the usual suspects are present in the service's channel lineup, but there are some conspicuous gaps, such as Comedy Central once again. And on-demand content is included in the form of a "Limited Commercials" plan, so expect to be annoyed by advertising that would you wouldn't run into with Netflix. All Apple devices are supported, but by default you can only stream on two devices simultaneously. Likewise, cloud DVR functions are normally restricted to 50 hours of material. Hulu not only charges you for premium channels — $14.99 for HBO, $9.99 for Cinemax, and $8.99 for Showtime — but extra for a 200-hour DVR and/or more screens (unlimited at home, three on the road). If you absolutely insist on having a cable-like experience, AT&T's DirecTV Now foregoes anything like a "skinny" bundle. There are five tiers, the smallest offering over 60 channels and the biggest over 120. Every recent Apple device is compatible. For a while the service was considered something of a bargain, so long as you were willing to put up with early disruptions and a clunky interface. 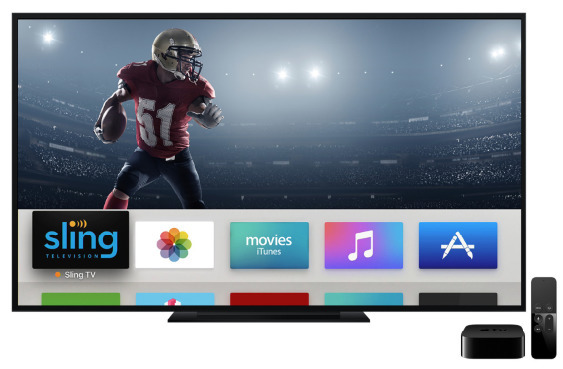 AT&T has tried to clean up the experience, and as of this writing it's even still offering a free Apple TV 4K if you're willing to prepay for three months. 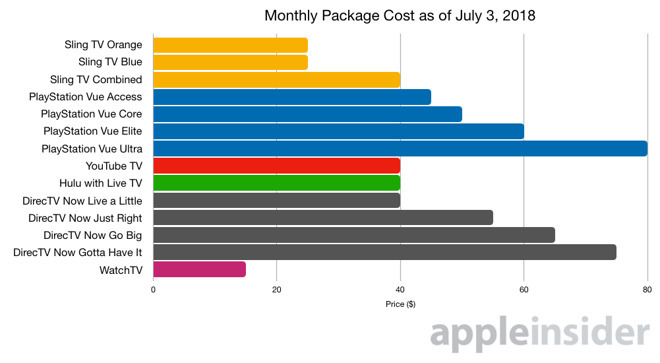 Prices are going up on Aug. 1 however, such that packages will cost $40, $55, $65, and $75 — roughly aligned with the rest of the market. 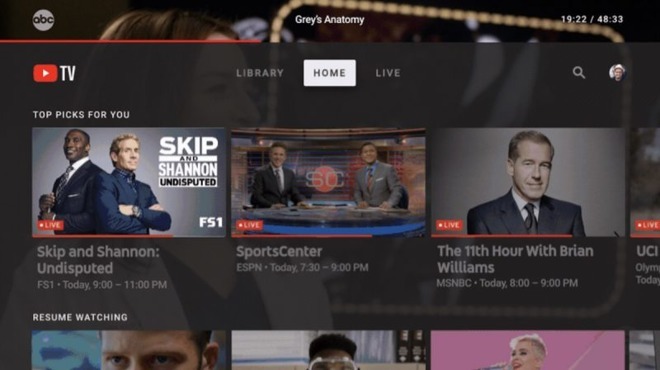 The service is also relatively stingy in features, offering just a 20-hour beta DVR and charging customers $5 to stream to a third screen on top of the first two. You can however add HBO or Cinemax for just $5, while Starz and Showtime are $8 apiece. Another AT&T offering, the newest service on this list is only $15 per month, but currently offers just 31 channels. None of these carry sports, so if you want to watch the NFL, you're out of luck. The main reason to subscribe to WatchTV at this stage is if you have one of AT&T's "Unlimited &More" data plans, in which case the service is free and even lets you add one of several "premium" services at no extra cost. You can add something like HBO or Showtime, but a few non-video services are available too, such as Pandora Premium and Amazon Music Unlimited. 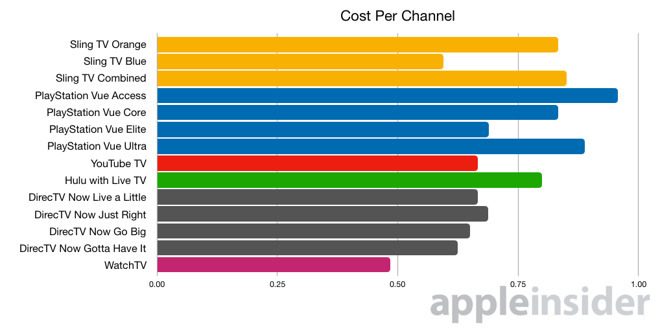 The next cheapest option on our list gets you 40 channels for $16 per month, or 49 for $20 per month. And the base package includes some decent channels too, such as AMC, Comedy Central, BBC World News and more. The catch? No Cartoon Network, no local channels, no sports channels, and several major news channels are missing, among them CNN. If you subscribe to Philo, you'd better really be into the likes of "The Daily Show" and "The Walking Dead." Apps for the Apple TV and Amazon Fire TV are now available, joining support for iPhones, iPads, Macs, and Roku. Other perks of the service include a 30-day cloud DVR, and the ability to stream on three devices simultaneously. Before anything else, make sure to check that a service or package has channels you'll actually use. Having 120 channels is meaningless if you never see most of them. Accordingly many people will probably be happy with Sling Orange or Blue, and as we said, Hulu may be appealing to people who want more on-demand content. It's also worth evaluating whether you like the interface a service has. All of the above options are usable, but some will suit your style of viewing better than others. We found DirecTV Now to be more awkward than Sling or YouTube for example, yet your experience may vary. We strongly recommend taking advantage of the trials each service offers before making a commitment. There's no skin lost as long as you're quick to cancel anything you don't want to keep. You may even find yourself questioning the value of live TV. Sports fans don't have much choice, but people who only care about news, shows, and movies can possibly combine a few on-demand services and still save money — say, Netflix and HBO Now.